The Pyar&Co. 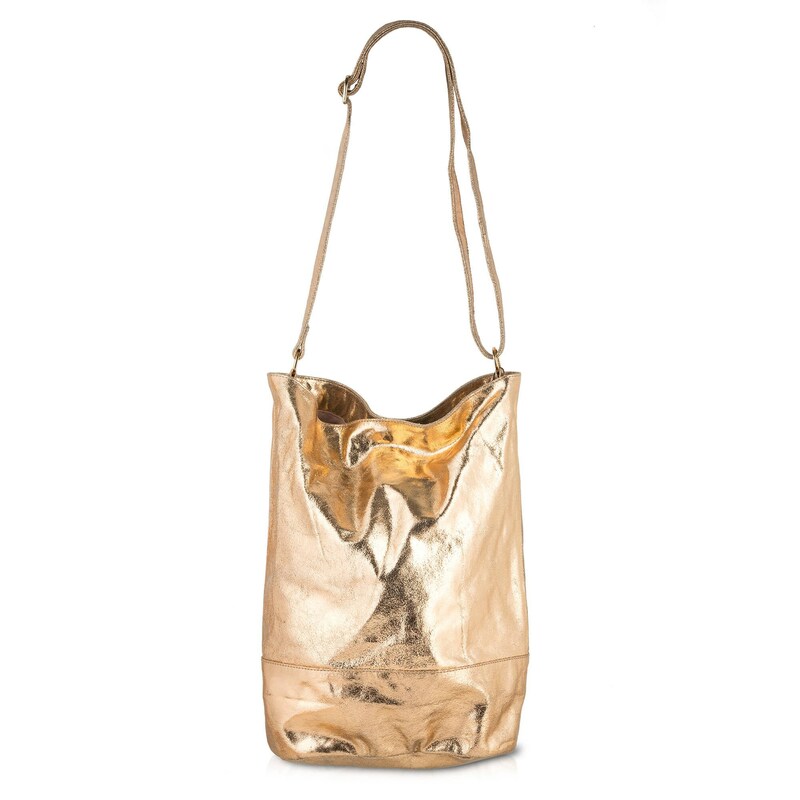 Noella Bag in rose gold is stunningly sleek and softly structured. Includes: inside zipper pocket, metal snap closure and finished with silver hardware accents. This bag can easily hold all essential items; and, with its adjustable strap the Noella Bag can be worn cross-body-style OR over-the-shoulder.